Find your military ancestors and build your family tree Are you interested in Genealogy or military history? Find your military ancestors in free searchable databases for World War One. 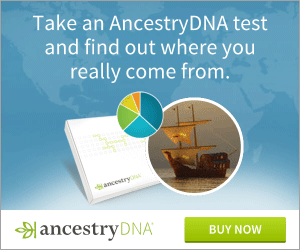 Add branches to your family tree as you search your ancestry and build your genealogy. Discover your family origins in military history, military ancestors and genealogy, and family history records. A comprehensive listing of the Handguns of Johnson & Bye & Co 1871-1883, Iver Johnson & Co 1883-1891, Iver Johnson Arms & Cycle Works 1891-1941. Includes the story of Norwegian immigrants Iver Johnson and Martin Bye, and the story of how they turned a small Massachusetts gunsmithing operation into the largest firearms company in America. Bellenden Seymour Hutcheson was born on December 16, 1883 in Mount Carmel, Illinois. He attended the local high school, and went straight from there to medical school at Northwestern University. In 1915, he renounced his American citizenship to join the Canadian Army, reclaiming his citizenship after the war. He joined the Army Medical Corps, and was attached to the 75th Battalion (later the Toronto Scots) Hutcheson was in fact chiefly of Scots ancestry, his statement in the attached letter notwithstanding, his ancestors having come to England from exile in Holland, where they had been sent for their part in the Jacobite rebellion). Hutcheson met his future wife, who was a nurse from Nova Scotia, before he went over to Europe, but did not marry her because he did not want to leave her a widow. They married immediately after the war, and moved back to Southern Illinois, though his wife spent the summers in Nova Scotia with their son who was schooled in Canada. Hutcheson evidently never talked much about the war, but was universally revered in Cairo, Illinois, where he lived. He died on April 4, 1954 of cancer. His wife donated his medals to the Toronto Armory, where there is also an oil painting of him on the battlefield. Captain Bellenden S. Hutcheson, Canadian Army 75th Battalion (Toronto Scots). "On August 8, 1918, before the battalion reached the jumping off position, the enemy put down a heavy barrage and many casualties were sustained. This officer worked unceasingly in attending to and dressing the wounded under heavy fire in open ground. During the mopping up of a village (80 miles north of Paris) he passed through the streets several times attending the wounded. He also voluntarily dressed nearly 100 enemy wounded who had been left behind." "For most conspicuous bravery and devotion to duty on September 2nd, 1918, when under most intense shell, machine-gun and rifle fire, he went through the Queant-Drocourt Support Line with the battalion. Without hesitation and with utter disregard for personal safety he remained on the field until every wounded man had been attended to. He dressed the wounds of a seriously wounded officer under terrific machine-gun and shell fire, and, with the assistance of prisoners and of his own men, succeeded in evacuating him to safety, despite the fact that the bearer party suffered heavy casualties. Immediately afterwards he rushed forward, in full view of the enemy, under heavy machine-gun and rifle fire, to tend a wounded sergeant, and, having placed him in a shell hole, dressed his wounds. Captain Hutcheson performed many similar gallant acts, and, by his coolness and devotion to duty, many lives were saved." The 76th Brigade was supporting the Canadian Infantry which was holding the line in front of Vimy. The brigade consisted of four batteries of 18 pounders (field guns) and one battery of 4.5 inch Howitzers. The cover of the guns, while poor was, I suppose, as good as that usually occupied by field guns in position only a few days, and the quarters of the gun crews were in cellars near the guns, but the shells thrown at us were eight inch, and armour piercing. At least the artillery men said that they were armour piercing, and after viewing the effects of their explosions I was in no position to argue with them. After several dugouts had been blown in, some of the uninjured personnel set to work digging out the injured while the bombardment was in progress and it was this rescue work which was carried out under scanty or no cover. The bombardment lasted from 1 p.m. until 10 p.m., with a few periods of lull, and was apparently counter battery work on the part of the enemy. Our guns were not in action. As you surmise, the gun crews had taken refuge in cellars, not anticipating a bombardment of such intensity with heavy stuff. Gas shells and high explosion were intermingled. My work consisted in dressing the wounded, checking hemorrhage, giving a hypo of morphine when necessary and seeing that the injured were evacuated to the rear. The gas used that day was the deadly sweetish smelling phosgene. It was my first experience with gas in warfare and I wore a mask part of the time and instructed the men to do so whenever there was a dangerous concentration. You ask about my own reaction: It was of course very disconcerting to endeavor to dress wounded while shells were showering debris about[,] and the possibility of being in the next few seconds in the same plight as the terribly wounded men I was dressing, occurred to me every now and then. The whole thing seemed rather unreal, particularly when it occurred to me, busy as I was, that the killing was being done deliberately and systematically. I felt particularly sorry for the young artillery men, (and many of them were about 19) who were being subjected to the ordeal. I remember one man who had a ghastly wound which would obviously prove fatal in a short time, pleading with me, amidst the turmoil of the explosions, to shoot him. I heard that same request several times later while serving with the infantry. Every soldier who has seen action since knows that it requires the highest type of stamina and bravery for troops to lie in a trench and take a heavy shelling without being demoralized and panic stricken, therefore I shall always remember the orderly rescue work carried on by the officers and men of the artillery in the face of the concentrated shelling that occurred that afternoon. You ask about the work of the artillery officers. They very bravely and ably directed the men in the work of rescue and tried to keep gun crews intact as nearly as possible, in order to fire at any time, should orders to do so, be received. During the trench tours in front of Lens, I usually had a deserted gun pit or cellar communicating with the support trench as a dressing station. The actions about the G[um] Crossin and La Coulotte, though attended by heavy casualties, were more in the nature of raids or diverting attacks, than holding attacks, therefore, I did not accompany the attacking parties. During a trench tour I stuck close to the dressing station if the enemy was active, in order to look after the injured, if things were quiet I visited the different headquarters of the platoons and companies holding the line. Going into the line was sometimes the most disagreeable part of the tour, because of the darkness, danger of getting lost, the mud, and the shelling of the roads just behind the line. The Passchendaele Campaign was carried on in a sea of mud. I have never seen a drearier sight than the salient in front of Ypres--churned up mud with mucky shell holes and never a tree as far as the eye could reach. It was necessary to march single file on duck walk because of the mud for a distance of five or six miles when going in for a tour. We were machine- gunned and bombed from the air and subjected to a terrific shelling on the way in and nothing like a real trench system was possible, the line being held by a series of posts in shell holes. My dressing station was located beside a concrete "pill box", an old German strong point. Captain Dunlap, medical officer of the 102nd Battalion, who was later killed, shared the dressing station with me. I had never met Dunlap before and when he appeared at our rendevous, with four days growth of black beard on his face, a torn tunic and string like remnants of puttees, he looked so much like a stage hobo that I burst out laughing in his face. He was a fine chap and we became good friends. The stretcher bearers had a very difficult time. The whole area was subjected to continuous shelling by the enemy. The pill box afforded shelter on one side for the dressing station and sheets of camouflage and canvas formed the roof. When no wounded were coming in Dunlap and I would crawl into the pill box for greater security. We kept no enlisted personnel with us as there was literally no place where they could stand without sinking to their knees in mud and the number of wounded men was not so great but that the two medical officers could do all that could be done. When we were relieved by the medical officer of the English unit that took over[;] Dunlap, and I, with Captain A.A. Gray, adjutant of the 75th, started back towards Ypres, over the duckwalk. The different platoons of our battalion had trickled back as they were relieved. The two way duckwalk was, as usual, shelled heavily. We were passing the Argyle and Sutherland Highlanders coming when a shell got a direct hit among them about 200 feet ahead of us. Their dead and wounded, lying in grotesque attitudes, were being cleared away by their comrades with feverish haste as we dog trotted past the smoking shell hole. We did not stop because their own medical unit was on the job, they had plenty of help and each unit was supposed to take care of its own casualties. Regarding the citation for the Military Cross: "The open ground" mentioned consisted of the wheat fields and other flat unwooded ground through which we passed between Beaucourt and Le Quesnel on the immediate left of the Amiens-Roye road. As we advanced we were frequently under direct observation by enemy balloons directing artillery fire. When one shell landed half a dozen others were pretty sure to land in a very short time within a radius of 50 yards or so of where the first one did, consequently when the first few caused casualties they had to be attended in a shower of debris caused by the explosion of succeeding shells. It was necessary to pass through the streets of Le Quesnel several times during the barrage in order to find the wounded who were scattered throughout the town. I supervised their collection, during lulls in the shelling in a cellar I used as a dressing station. The platoons furnished stretcher bearers. My medical section, consisting of a sergeant, corporal and two privates were with me part of the time, or were in the dressing station when I was out, or they themselves were engaged in looking for wounded. As the 4th C.M.R. and tanks pushed through the village the shelling again became intense. The Germans were about 240 yds. outside the village. As Corporal Adnitt, and Private Marigold and myself were attending to some wounded in a d[inur]y near a street corner that was being heavily shelled, a company of the 4th C.M.R. went by. As the hind of the company reached the street corner about a hundred feet away a shell landed in their midst. About six men went down. As they were going into an attack they could not stop to take care of their wounded. Adnitt, Marigold and I ran to them. The Company Commander lay on his face with the back of his head sheared off. I recall that he had the rank and name of "Captain MacDonald" written on some of his equipment. Three other men were killed and lay beside him. The Company Sergeant Major had his leg blown off just above the knee and several men had less severe injuries. We put hurried dressings on the wounded and got them off the corner, which was a very hot spot, into shelter as quickly as possible. One of the men who had been killed was evidently carrying phosphorous smoke bombs. These set his clothing on fire. We tried to extinguish the fire, but his clothing and body seemed shot through with the phosphorous and it was impossible to put it out. The nature of his wound made it evident that he had been instantly killed and as shells were falling about at a lively rate, we left him. Later in the day when the enemy had been pushed back and things had quieted down I saw his body again. He was almost incinerated. I dressed very few enemy wounded in Le Quesnel, as they had evidently been able to evacuate them before we took the village. A day or so later we came across a temporary tent hospital of the Germans full of wounded. These my men and I dressed until they could be evacuated as a matter of ordinary humanity. I might add that they were very grateful. I am attaching a very rough sketch of the Sept. 2nd attack. The Germans did not use very much gas that day in our sector. I do not think they used the bayonet much either, though I was not in a position to know. I kept no copy of the notes that I sent you and do not know what details concerning Sept 2nd. I gave to you. My medical detail and I worked along the crest attending to the wounded when the battalion was held up short of its objective. The rifle, machine gun and artillery fire was intense. We got to the wounded by crawling or running in a stooping position and when the fire became too hot flattened out on the ground like limpets on a rock. My Sergeant, Harry Munnell received the D.C.M. and my Corporal, George Adnitt received the M.S.M. for work done that day. I cannot speak too highly of their gallantry and devotion to duty. Concerning Capt. Dunlop (who by the way, is to be distinguished from Capt. Dunlap the M.O. of the 102nd Battalion previously mentioned): He was first hit in the abdomen by a rifle bullet, as he led his company over the crest. He had advanced in the face of a [wither]ing fire, swinging his walk- ing stick nonchalantly. There wasn't much chance for conversation as I dressed him but he did ask if we were having many casualties. Twenty or thirty minutes later when I was near him again he told me that he had been hit in the thigh as he lay there. We put him in a shell hole. His first wound being in the abdomen it was advisable to get him back to the C.C.S. for opera- tion as soon as possible, so Sergeant Munnell and I stopped three or four German prisoners to press them into service as stretcher bearers. An enemy field gun about a mile away, ahead and to our right, began firing at us and the first or second shell landed among us, or so it seemed to me, I was knocked into the shell hole with one of the Germans on top of me; Munnell was knocked to the ground, a wounded man who was lying near had his ear nearly taken off and the other two Germans, wounded and shrieking, ran toward our lines. As I struggled out from under the German, he was groaning and crying, and I spoke to him sharply to get him to remove his weight from me. Dunlop said "He's badly hit Doc. Look at his face." I looked, and the face was gray. At the same time I saw a wound in his thigh with the blood spurting from a severed femoral. As I put a tourniquet above the wound he moved a little and I saw that the whole side of his chest was torn out. He expired in less than a minute. Meanwhile the field gun continued to fire at us, about every 10 or 15 seconds, I should say, landing its shells usually within 15 or 30 yards. As the four of us, Munnell, Dunlop, another wounded man and myself lay in the shell hole the din was terrific, with machine gun and rifle fire ahead, our low flying planes swooping to within 50 feet of the ground and firing at the enemy and shell explosions all about. Someone remarked that it was no place to sit and read the paper and another observed that there would be an awful mess if Fritz ever got a direct hit on our shell hole. In a short time the enemy fell back and the fire abated, and we were able to get Dunlop and the other casualties scattered along the crest, back a couple of hundred yards or so, to a trench in which we were collecting our wounded. You ask regarding the circumstances under which aid was rendered to the Sergeant mentioned in the V.C. citation: He was Sergeant McCullogh of the bat- talion scouts. As I recall it, at the time mentioned I was lying on the ground near our colonel, who was of course directing the attack, the adjutant, McCullogh and several others. The firing just ahead had subsided to desultory machine gun and rifle fire and McCullogh was dispatched by the Colonel, to find out I believe, what progress was being made by the right flank. Things were quieter and it seemed that the enemy was falling back. He stooped and ran forward and to the right about 200 feet, when there was a single shot fol- lowed by a burst of machine gun fire, and he fell. The enemy was, I estimate 100 to 300 yards ahead in the sunken road. I ran to him and dressed his wound, which was a dangerous one through the pelvis. I do not recall our con- versation and do not remember if he was placed in a shell hole. With slight undulations in the terrain one was sometime fairly well [protected] if one lay very flat on the ground. I lay beside him for 5 or 10 minutes, then crawled away and went about my other duties. We got him back a short time later. I am attaching an extract from "a History of the 75th Battalion", which describes briefly the battalion movements from Sept. 2 till the Armistice. As there stated, I was on leave during the action of September 27th to October 4th when our casualties were terrific. I did not want to go on leave at this time as I was endeavoring to get my leave postponed until I could get off at the same time as my brother, who was a lieutenant in the infantry of the American Rainbow Division. It was just as well, probably, that my leave came through when it did. In compiling these notes I have dwelt rather lightly upon my experiences from a purely medical standpoint. You have a copy of an address which I delivered dealing to some extent with this phase of my service. Like most regimental medical officers I was at great pains in endeavoring to be just to the men in assigning them duty or in sending [them] into the line if they professed to be sick or disabled. I was never wounded. On Sept 2 1918 I was knocked to my knees when a machine gun, or rifle bullet, deeply scored my steel helmet. In November 1917 as we were going up to Passchendaele a fragment of shell from a high velocity gun knocked me down as we were marching past the Cloth Hall in Ypres and the back of my rain coat and tunic were torn out, but I sustained no injury other than a severe contusion. You ask concerning my motives for joining the Canadian army: They were rather mixed. In the first place, I was in great sympathy with the Allied cause, secondly I am chiefly of English descent: my great grandfather served under Lord Nelson and lost an eye in the battle of Trafalgar and my paternal grandfather came to the U.S. from England in the 1840's and was Captain and adjutant on a New York regiment during the Civil War. The third factor was the desire for surgical experience and adventure which I felt war service would afford. Please do not quote me in your narrative. I feel sure that I can rely upon you to give no highly colored version of events I have related. Concerning my reference to the Encyclopedia Brittanica which you state that you were unable to trace: The reference is to pages 952 to 959 in Volume III of "The Three New Supplementary Volumes, Constituting with the Volumes of the Latest Standard Edition the Thirteenth Edition". Copyright 1926. You will find in those pages a very accurate and detailed account of the actions of Aug 8th and Sept. 2 1918. There are also two very good maps. A very special thanks to Rand Hutcheson, grandson of Bellenden Seymour Hutcheson, for submitting this to the Canadian Great War Homepage. These pages were researched and written by Brian Lee Massey & are © Copyright 1997 - present. This site may be freely linked to but not duplicated in any fashion without my consent.